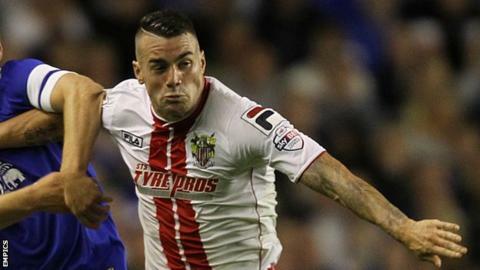 Stevenage have handed one-year deals to midfielder James Dunne, forward Lucas Akins and utility man Darius Charles. Dunne, 24, spent the last four months of the season on loan at St Johnstone, and played 90 minutes in Saturday's Scottish FA Cup final victory. He played 14 times this season before joining the Perth club. Charles, 26, a versatile defender or striker, scored five times in 26 appearances as Stevenage finished bottom of League One. Former Tranmere striker Akins, 25, played 37 times and netted five goals. Chris Day, Jon Ashton, Roarie Deacon and Dean Parrett signed new deals last week, while Luke Freeman had a 12-month extension triggered.